While it has always been a corporate stopover, Pune has its mix of potpourri and culture which makes for interesting sight seeing within the city! 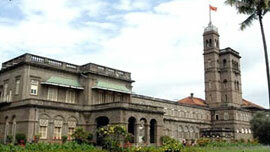 For those interested in history and architecture, Pune offers a mix of the modern interlaced with the old! Whether it is the Lal Deval standing side by side with a spanking petrol pump or Vishram Baug Wada, which now functions as a post office, the list is endless! Shaniwar Wada, Aga Khan Palace and the Parvati temple are the other few attractions without which a visit to the city would be incomplete! 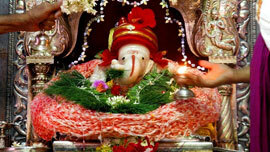 The Sarasbaug temple houses the idol of Shree Siddhivinayak (God who makes wishes true). A sacred ground of faith for millions of devotees in Pune and around the world, on an average the Sarasbaug temple receives ten thousand visitors a day and this figure goes upto eighty thousand devotees per day on Ganesha Chaturthi and other special occasions. Various dignitaries and luminaries throughtout India have made it a point to visit this sacred temple to seek blessings of Shri Siddivinayak. Bund Garden lies on the right bank of the Mula Mutha river. Constructed by Sir Jamshedji Jeejeebhoy primarily for providing water to the poor during summer, it has become a popular unwinding spot for citizens with an added attraction of boating facilities and has recently added a well-designed jogging track. 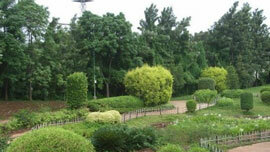 Bund Garden is now known as the Mahatma Gandhi Udyan. The University of Pune is a feather in the cap of Pune's educaion system, placing Pune as a pemier education destination for students from all over the world. Established in 1948, the university has since become one of the leading centres for research and teaching in the country. 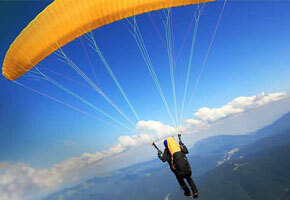 It is spread over a 400 acre campus and is located in the north-western part of Pune. The University houses 40 departments which provide a wide array of academic programs. The placid environs and state of the art facilities provide its numerous students with an ideal atmosphere to pursue education in various areas of science, arts, commerce and languages. . 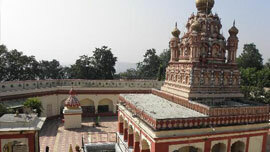 The 'Nagarkhana' drum house, the imposing temple of Parvati and Devdeveshwar are the main structures on the hill. 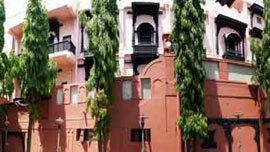 The Parvati museum houses protraits of heroes of the Peshwa dynasty, besides old manuscripts, weapons and coins. A group of beautiful temples of Ganapati and Kartikeya make Parvati add to Parvati's attractions. According to the records, the main idol was carved out of gold by craftsmen from Karnataka. After this was stolen in 1932, it was replaced by silver idols plated with gold. The 108 step climb to the 17th century temple located on top, the hill is also the favourite haunt of fitness fans. 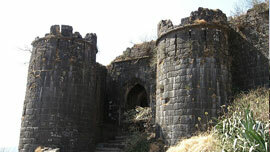 One of the great forts of Maharashtra is based in Pune. 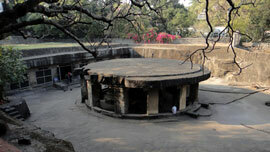 This is the place where brave soldiers fought for the fort. Tanaji, one of the trusted soldier of Shivaji Maharaj sacrificed his son's wedding to win the fort. He was well supported by his uncle Shelar Mama and his brave Marathas. The fort was named Sinhgad from Kondana, after this brave Maratha who fought till death like a true lion. The museum has 20,000 different articles, all personally collected by Baba Kelkar from all over the world. When his son died at the age of seven, he decided to do something in his remembrance and that is how the idea of building this museum was conceived. The museum houses the entire collection of Baba Kelkar, a recreation of the famous Mastani Mahal, research and storage facilities and the Institute of Musicology and fine arts. It is a resting place for Dr. Kelkar's obsession to create a centre for artistic endevours. This museum on Bajirao Road is a marvel and a must see for tourists. It comprises of rare exhibits and artifacts from all over the country and dates back to the Mughal and the Maratha periods. Paintings, nut crackers, Ganpati's guns, carved palace doors, pottery and a number of musical instruments. This beautiful campus is situated in the pleasant residential area of Koregaon Park, Pune, around fifteen minutes by air from Mumbai. This lush contemporary 40-acre meditation resort is a tropical oasis where nature and the 21st Century blend seamlessly, both within and without. With its white marble pathways, elegant black buildings, abundant foliage and Olympic-sized swimming pool, it is the perfect setting to take time out for yourself. This is a place where you can simply relax and where you can also enjoy the company of visitors of all ages from over 100 countries. 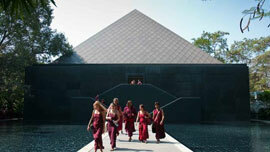 You can choose if you want to do something, or if you just want to rest, swim, meditate - or just to be. You can learn simple Osho Active Meditations, techniques specifically designed for the contemporary over-charged mind and stress-impacted body.